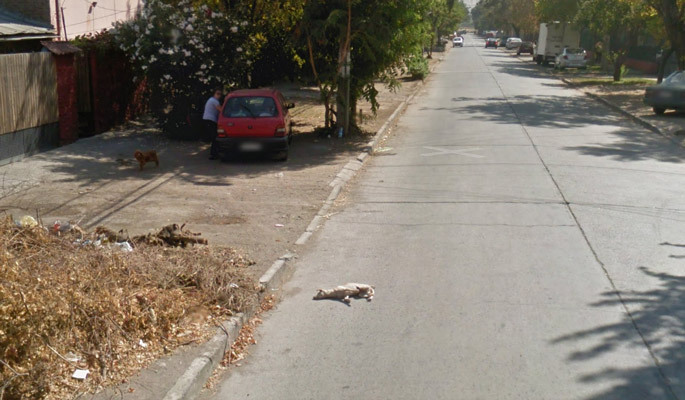 CHILE – People for the Ethical Treatment of Animals (PETA) wants Google to donate money to a spaying and neutering group because one of their Google Maps Cars, hit and killed a dog running across the street. PETA had posted pictures of a dog running, then lying on the street seemingly dead. 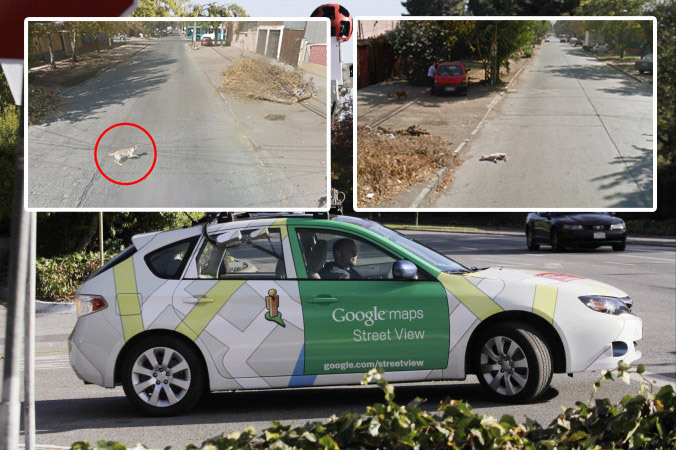 The images taken by the google map car itself shows that the dog is not moving and I highly doubt that the dog would decided all of a sudden to start taking a nap in the middle of the street. 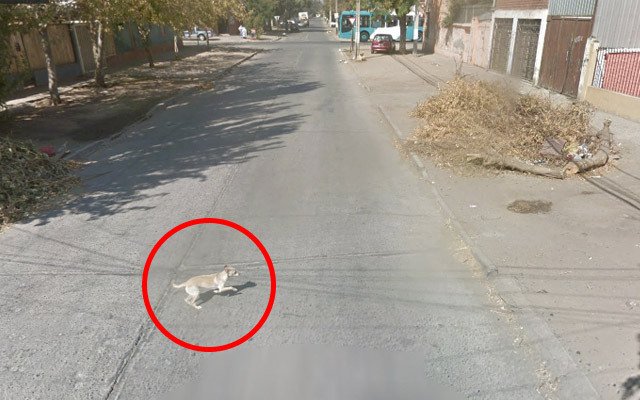 Apparently this isn’t the first time a Google car has come under scrutiny over hitting an animal. They were also accused of hitting a donkey in Botswana, but the images were found to be misleading. Google is currently investigating this claim.